The Human Cancer Proteome Project (Cancer-HPP) is an international initiative whose key objective is to decipher the human cancer proteome through a coordinated effort by cancer proteome researchers around the world. The goal is to map the entire human cancer proteome to disclose tumour biology leading to improved diagnostics and treatment of cancer. Click here to read the 2017 Cancer-HPP report. Characterize proteomes, proteome forms, and protein networks from different cancers and the matched non-cancers through coordinated efforts of specimen collections and data acquisitions. Identify cancer-specific proteins, protein forms, or protein networks from each cancer type and cancer-type-specific proteins, protein forms, and protein networks by comparison of multiple cancer types through data deposition, sharing, and data analysis. Determine the protein-specific or protein-isoform-specific changes of cancer through the correlation studies of genomic and proteomic data through the comparison to the existing genomic data or the genomic data collected from each specimen. Develop targeted assays to measure protein- or protein-form-specific changes for each tumor type to support the analysis of complex biological networks or clinical specimens underlying different disease processes. Disseminate assays to the discovery labs to apply the targeted assays to the specimens from discovery specimens to verify the changes from discovery phase. Validate the protein, protein forms, or protein network changes in independent specimens. 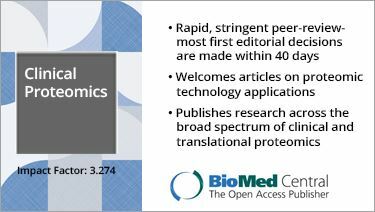 Publishing articles on cancer proteomic reviews, methods for proteomics and PTMs by mass spectrometry and protein microarray approaches, SRM assays, cancer proteomic data reproducibility, and reference materials. Cancer HPP partners with NCI's Clinical Proteome Tumor Analysis Consortium (CPTAC). Tissue and plasma proteomics for early stage cancer detection. Peng L, Cantor DI, Huang C, Wang K, Baker MS, Nice EC. Mol Omics. 2018 Dec 3;14(6):405-423. Evaluation of NCI-7 Cell Line Panel as a Reference Material for Clinical Proteomics. Clark DJ, Hu Y, Bocik W, Chen L, Schnaubelt M, Roberts R, Shah P, Whiteley G, Zhang H. Journal of Proteome Research. 2018; 17 (6), 2205-2215. Quality Assessments of Long-term Quantitative Proteomic Analysis of Breast Cancer Xenograft Tissues. Zhou J-Y, Chen L, Zhang B, Tian Y, Liu T, Thomas SN, Chen L, Schnaubelt M, Boja E, Hiltke T, Kinsinger CR, Rodriguez H, Davies SR, Li S, Snider JE, Erdmann-Gilmore P, Tabb DL, Townsend RR, Ellis MJ, Rodland RD, Smith RD, Carr SA, Zhang Z, Chan DW, Zhang H. Journal of Proteome Research, 2017; 16 (12): 4523-4530. Targeted proteomic analyses of Histone H4 acetylation changes associated with homologous recombination deficient high-grade serous ovarian carcinomas. Thomas SN, Chen L, Liu L, Hoti N, Zhang H. J Proteome Res. 2017; 16 (10): 3704-3710. Proteome-wide tyrosine phosphorylation analysis reveals dysregulated signaling pathways in ovarian tumors. 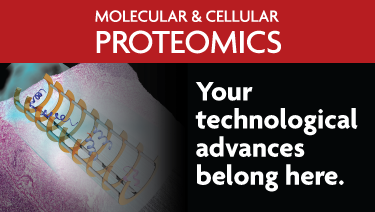 Molecular & Cellular Proteomics. Song G, Chen L, Zhang B, Song Q, Yu Y, Moore C, Wang T-L, Shih I-M, Zhang H, Chan D, Zhang Z, Zhu H. 2018; mcp. RA118. 000851. Summary of B/D HPP in 2015 HUPO. 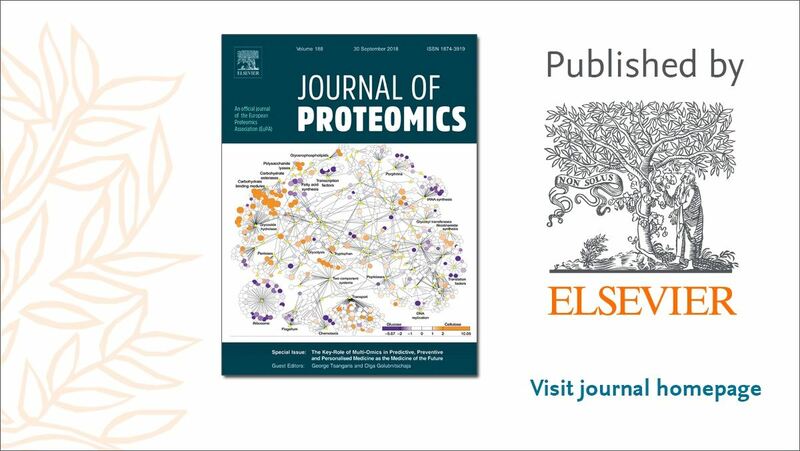 Jennifer E Van Eyk, Fernando Jose Corrales, Ruedi Aebersold, Ferdinando Cerciello, Eric W Deutsch, Paola Roncada, Jean-Charles Sanchez, Tadashi Yamamoto, Pengyuan Yang, Hui Zhang, Gilbert S Omenn Highlights of the Biology and Disease-driven Human Proteome Project, 2015-2016. Journal or Proteome Research, DOI: 10.1021/acs.jproteome.6b00444 Publication Date (Web): August 30, 2016. Mertins P, et al (2016) Proteogenomic Analysis of Human Breast Cancer Connects Genetic Alterations to Phosphorylation NetworksNature . http://www.nature.com/nature. Zhang B, Wang J, Wang X, Zhu J, et al. (2014) Proteogenomic characterization of human colon and rectal cancer. Nature 513 (7518): 382-7. Are you involved in Cancer Research? Interested in the latest initiatives of the Cancer-HPP? If so, subscribe to the Cancer-HPP mailing list to receive initiative updates, news and meeting details. 1. Characterize proteomes, proteome forms, and protein networks from different cancers and the matched non-cancers through coordinated efforts of specimen collections and data acquisitions. 2. Identify cancer-specific proteins, protein forms, or protein networks from each cancer type and cancer-type-specific proteins, protein forms, and protein networks by comparison of multiple cancer types through data deposition, sharing, and data analysis. 3. Determine the protein-specific or protein-isoform-specific changes of cancer through the correlation studies of genomic and proteomic data through the comparison to the existing genomic data or the genomic data collected from each specimen. 4. Develop targeted assays to measure protein- or protein-form-specific changes for each tumor type to support the analysis of complex biological networks or clinical specimens underlying different disease processes. 5. Disseminate assays to the discovery labs to apply the targeted assays to the specimens from discovery specimens to verify the changes from discovery phase. 6. Validate the protein, protein forms, or protein network changes in independent specimens.